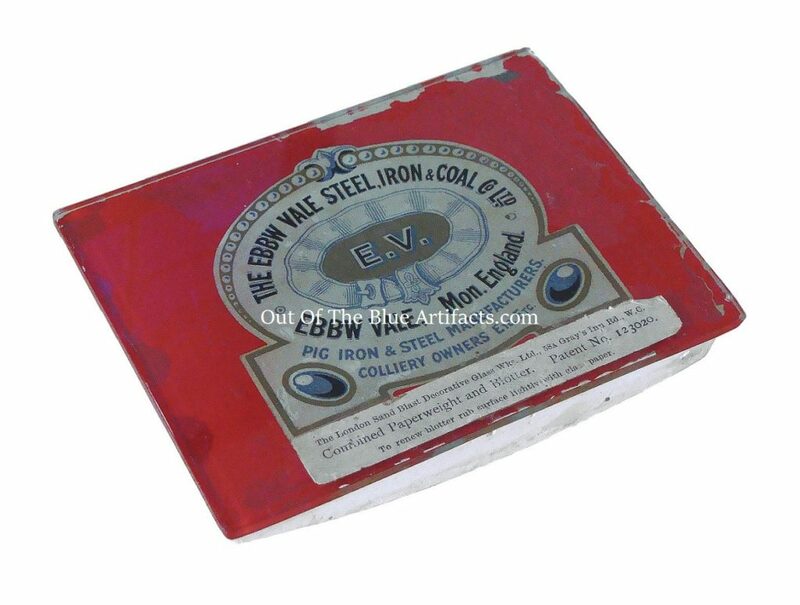 An Ebbw Vale Steel, Iron & Coal Co Ltd Ink Blotter. Made of Glass and a Chalk, Plaster material. Size 4″ x 3″ x 1″ inches. The sticker states it is a Combined Paperweight and Ink Blotter made by the London Sand Blast Decorative Glass Works Ltd, 58a Grey’s Inn Road, WC. 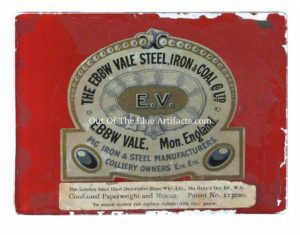 The Ebbw Vale Steel Iron & Coal Company was a reconstruction of the old Ebbw Vale Company and was officially formed in June 1868, they held their first meeting under the new name in July 1868. 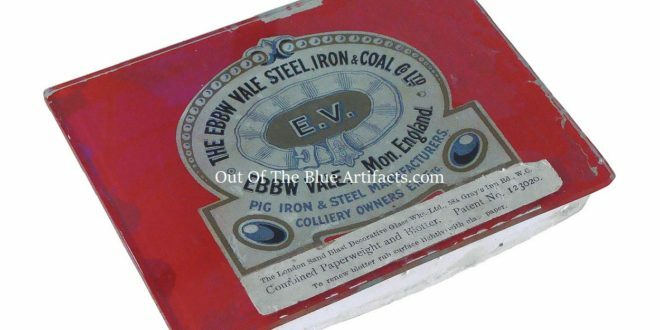 In 1915 they acquired the collieries from the Lancaster Co and in 1916 they took control of the Abertillery collieries belonging to the Powell’s Tillery Company – Penybont, Gray and the Vivian Collieries.